Horse show trophies and awards for horse shows, equestrian contests, county fairs, 4-H shows, FFA contests, or even state fairs are here. Click on the trophy picture and see all the trophies and awards for that particular group. 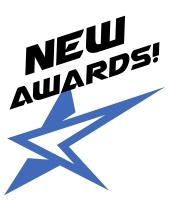 We keep adding new horse show awards and equestrian trophies all the time, so if there is something you are looking for, and it looks like we don’t’ carry it, please click here and let us know. I would highly recommend Quick Trophies for your trophy needs. Customer service is fantastic. Turn around time outstanding. Prices are great. Thank you, will use again in the future. I've used QuickTrophy for the last few years for our golf tournament and the customer service has always been great. Right from the start, Stephanie was a great help. Our order was VERY quick to arrive and everyone was pleased with the trophies. I liked them so much that I now place an order each year for our classic car club medals and they, too, are a big hit. I have no problem recommending QuickTrophy. Pete was very helpful in getting a design for our wrestling club's dog tags. Everyone I dealt with on this order was great! Thank you all for the work!